With new planes emerging, Planeswalkers have taken apprentices to deal with threats and take on adventures, hoping to be able to learn the path to Bravaria, a large plane on the edge of the multiverse with very large amounts of magic. You are taken on as an apprentice by one of these planeswalkers and have you sights set on riches and power that you can achieve. Grandovor: A desert plane with a vast ocean and many secrets in uninhabited areas. Hyperion: A land of technology mixed with magic. Relatively peaceful but debate over the wide use of temporary manmade planeswalker sparks. Kolapsit: An artificial plane on the verge of collapse with people rioting and scared. Many inventions are trying to stop or escape the collapse but the planeswalker who created the plane is nowhere to be found. Avarin: A plane of elementals and black mana attuned bug like creatures. A planeswalker couple started a colony there and parts of the world are inhabited by humans. 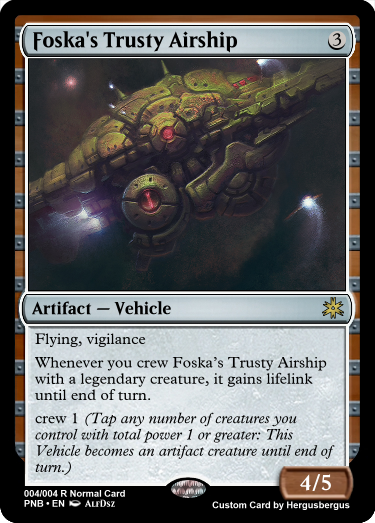 Roffruk: A plane darkened by a special artifact but has some remains of other colors of mana. Most of the plane is either swampy and occasionally cathedrals of unknown worships and gloomy mountains. Zombies and undead run amok. Menagaria: A land of anthropomorphic animals taking different roles, the fates of many planes stories converged here as the animals and many fight each other as the best clan. Good Luck! Tell me what plane you want to make a character for and if you want to be good or evil, I will then supply the planeswalker. 4 planes here piqued my interest: Roffruk, Kolapsit, Hyperion, and Astrologia. Those all seem to be my kind of style, any extra info on them? Roffruk: Dark mana plane, a mysterious traveler brought a corrupted lotus to the plane and left it there, ending the travelers curse and allowing him to move on. He appeared to be powerful because the curse was put on the plane and corrupted it almost completely. Anyone who touches the lotus becomes cursed to live as the dead, those cursed built a shrine where they lured travelers and and buried the dead cursed. Many of these cursed roam within the swamps of the cursed land. Many cathedrals were built before the curse still remain but are surrounded by darkness. Constructs "gifted" to the worshippers of deities to protect them. They still protect the abandoned cathedrals but no one knows what lurks beneath them. The mountains serve not much purpose to the plane other than rough territory. Elspeth, from the underworld of Theros somehow walked from that hell to this one. She allied with a stone sphinx to try and stop some of the corruption. Kolapsit: This plane was originally called something else until once they learned of the collapse, a prankster changed all the records to name the plane Kolapsit and eventually it stuck. Kolapsit is large on magic and other things similar to it. Hundreds of years ago a powerful blue mana aligned planeswalker created plane as a personal paradise. Once she implemented people they changed it from what she wanted so she left. After she left, people thrived and evolved, but eventually the plane began to collapse as all artificial planes do. Scientists and inventors are trying to find ways to escape the plane or extend it's life. Hyperion: Hyperion is a plane that can be seen as artificial but is just very technologically advanced. Politics are very important to the science and inventing scene. With the large advances of magic, a planeswalker scientist helped create an artificial spark that lets the use launch themself to another plane or release a strong burst of magic. The invention of these has increased criminal activity to where magical people can use strong magic to cause havoc. The artificial spark magic has been turned into drugs by different gangs and rebel groups. Astrologia: Large plane with magic coming from the stars in the sky. The astronomical signs are almost deity level figures embodying different traits. This world is very connected to the multiverse and some say that the stars are other planes shining their lights to Astrologia. There are some trying to convince others of the evil of the avatars and have been attacking heralds and prophets of the signs to usurp the avatars themselves. @pjbear2005 I'm doing Roffruk. The main card of the plane is from my challenge, and it's time to give back. Working on something now! I will try to join if I have time to. @pjbear2005 Actually, if you don't mind, do you have an image who would be a good representation of the mysterious traveller (HINT HINT TO MY CARD) EDIT: Wait would that work lorewise? I’ll do Avarin and good. Card will come in (hopefully) 24 hours. Quick question, is the creature the apprentice, and can we make a planeswalker card? @pjbear2005 Can I have the colors then? Arhax is a sinister yet basically good individual who has sworn an oath to protect Grandovor's few remaining forests. If my entry doesn't work, I don't mind not being chosen, but if Arhex does match up with a walker, I would be about as interested as making it into the challenge as everyone else.